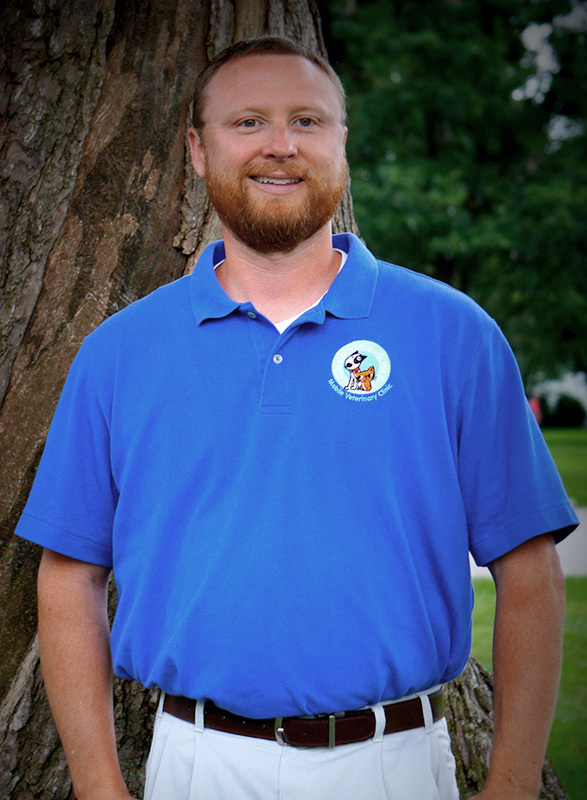 Dr. Zaring is a 2004 graduate of Purdue University School of Veterinary Medicine. While in veterinary school, Dr. Zaring was recognized for her commitment to developing a pet-assisted activities club with the prestigious World Animal Health Foundation Award for Advancing the Human-Animal Bond. As an undergraduate at Purdue, Dr. Zaring was involved with student government and Big Brothers Big Sisters while earning her degree in neurobiology and physiology. Working in private practice for over fourteen years, Dr. Zaring has gained diverse experience in veterinary medicine, dentistry, surgery, wellness care, geriatrics, and emergency medicine. 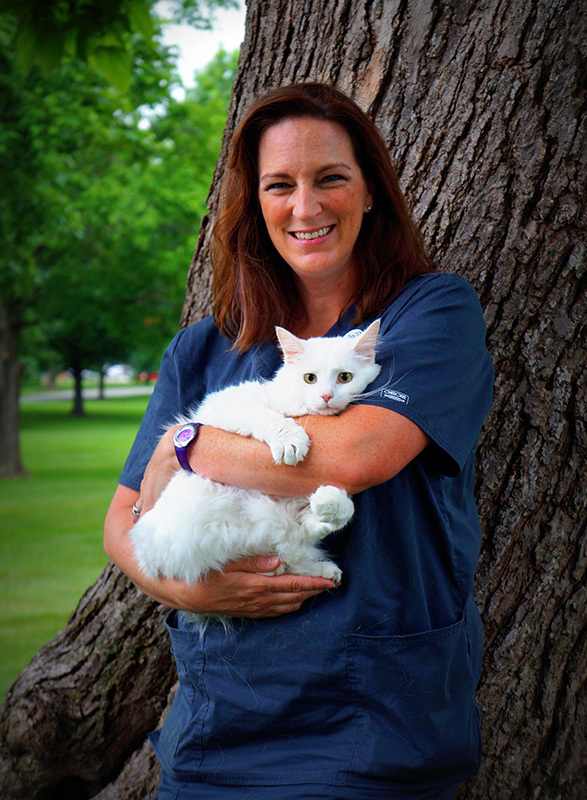 Dr. Zaring enjoys all aspects of veterinary medicine, and she is looking forward to establishing long term relationships with Indianapolis area pet owners. Dr. Zaring and her husband, Chris, formed Curbside Care in 2010. They currently reside in Boone County with their sons Heaton & Colton, and their three cat-children: a fluffy white kitty named Luka, a sleek black kitty named Zelma, and a big long haired kitty named Ronald. Leanne graduated from Purdue University in 1999 with a BS Degree in Biology, specializing in Ecology, Evolutionary & Behavioral Biology. After college, she worked as a veterinary assistant for two years at a private practice before returning to Purdue to pursue a degree in Veterinary Technology. 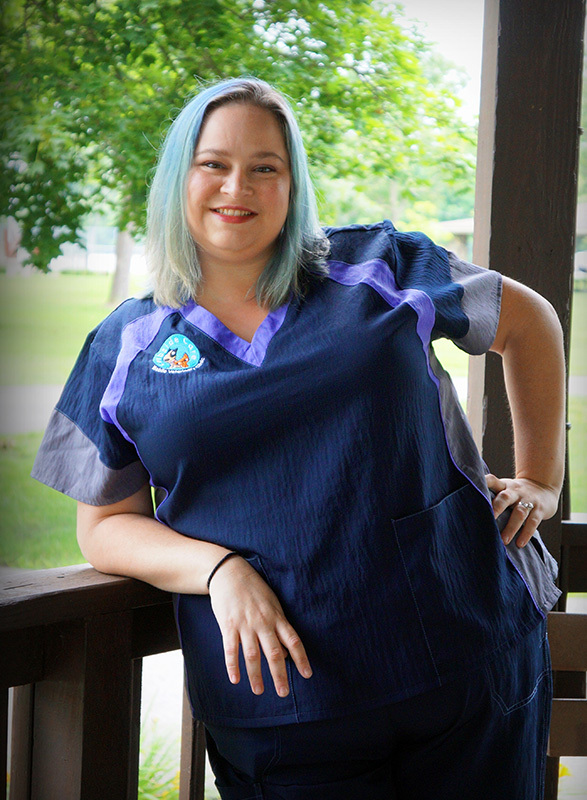 Before graduating from Purdue’s Veterinary Technology Program in 2002, Leanne had the exciting experience of interning at the Indianapolis Zoo’s Animal Hospital. After graduation Leanne practiced as a Registered Veterinary Technician in a private practice as well as at a veterinary specialty hospital. In the summer of 2011 she joined the Curbside Care team. Leanne enjoys working with our wonderful clients and patients. She also loves how Curbside Care strives to reduce stress for our patients and make veterinary visits as fear free as possible. Outside of work, Leanne spends time with her husband, Scott, and children, Ella and Mason. Her family has two kitties, Nigel and River, and one dog, Annie. Keri grew up in Carmel, and she is a lifelong resident of Hamilton County. 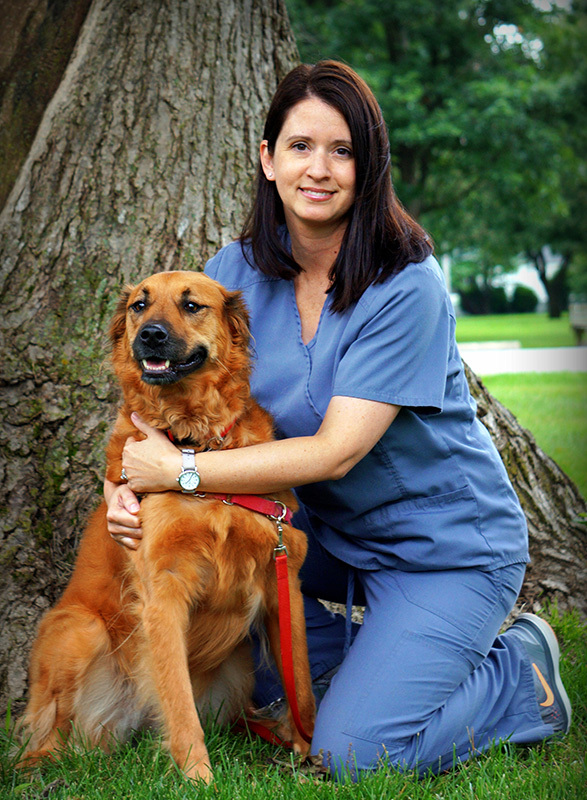 She joined Curbside Care’s team in 2015, and brings with her over 15 years of experience in the veterinary field. Keri first worked as a kennel technician at a busy veterinary practice, seeing to the needs of all of the boarding and hospitalized pets. 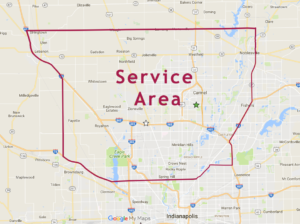 She then spent several years as a veterinary technician at clinics in Westfield and Carmel, where she honed her medical skills. Keri especially enjoys surgery and is very experienced in administering and monitoring anesthesia. When she’s not busy with work, Keri often fosters shelter kittens. Also during her free time, Keri spends time with her husband Ryan and their two daughters, Leah and Emily. The Owens share their home with one dog, Chandler, and three kitties, Meeshka, Meizy, and Mocha. 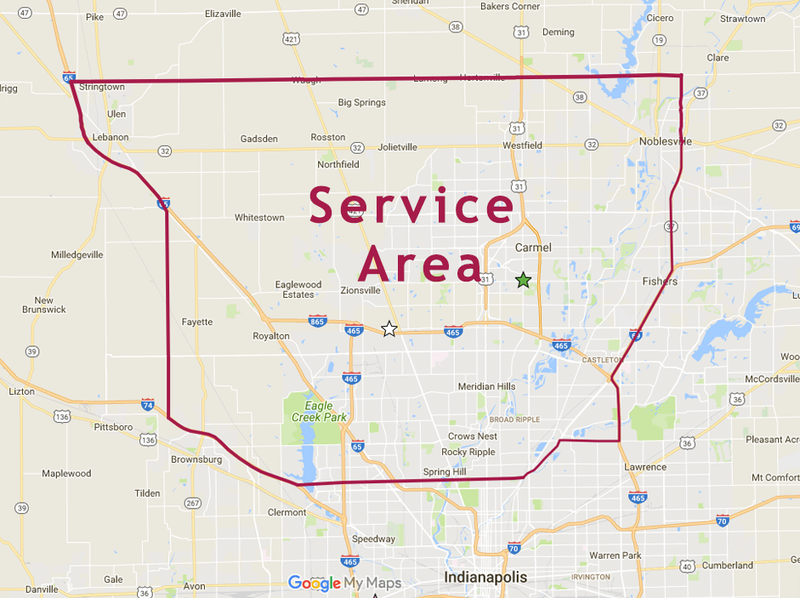 Chris grew up on a farm outside of Zionsville, where he was raised with a knowledge and love of animals large and small. Chris earned his bachelor’s degree in Industrial Technology from Purdue University in 2001 and went on to work as a purchasing agent in the automotive industry for nearly eight years. Combining his experience acquired while managing his family’s farm with his business skills developed during his time in the automotive industry, Chris manages the day-to-day happenings of Curbside Care. Chris handles all the financial and mechanical aspects of the mobile practice, ensuring that our clinic runs efficiently and best serves our clients’ diverse needs.